For the the first time since flames the 2016 widfire, Fort McMurray’s school populations have rebounded. For the the first time since the 2016 wildfire, Fort McMurray's school populations have rebounded back to pre-fire levels, according to numbers released by Alberta Education. Fort McMurray's public and Catholic school districts say the student population has grown above 2015-2016 numbers. This year the districts welcomed 12,533 students, compared to the 10,884 immediately after the wildfire. In 2016, Fort McMurray's school districts struggled with a lagging economy and the devastating wildfire that destroyed over 2,400 homes. The situation was so bleak the school boards said they considered closing some schools. "We're finding some people moving back," said Doug Nicholls, superintendent of schools for the Fort McMurray Public School District. "Their houses are now being completed. "We also see some people coming in from out of town to work in the community." Another saving grace is Fort McMurray's younger population and a baby-boom. 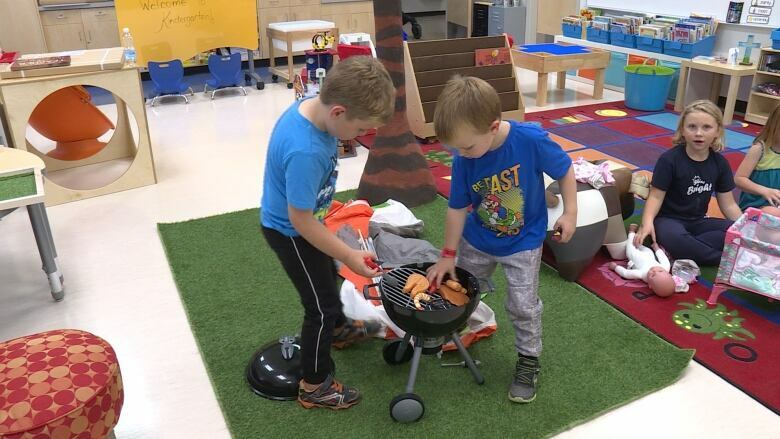 "We have so many young families and they are having children and that's been going on for five years," said George McGuigan, superintendent at Fort McMurray Catholic Schools. "Those children continue to enter the school system at our early entry programs at our kindergarten programs," he said. "We have more children entering the system than we do leaving at the other end." Keyano College, however, has not seen a return to pre-wildfire levels. "We're seeing the results of the wildfire and the economic slowdown," said Peter Lawlor, a dean at the college. "We believe we are coming out of that." But one bright spot is that the school has seen about a six-per-cent increase in student enrolment this year in the first semester compared to last year.